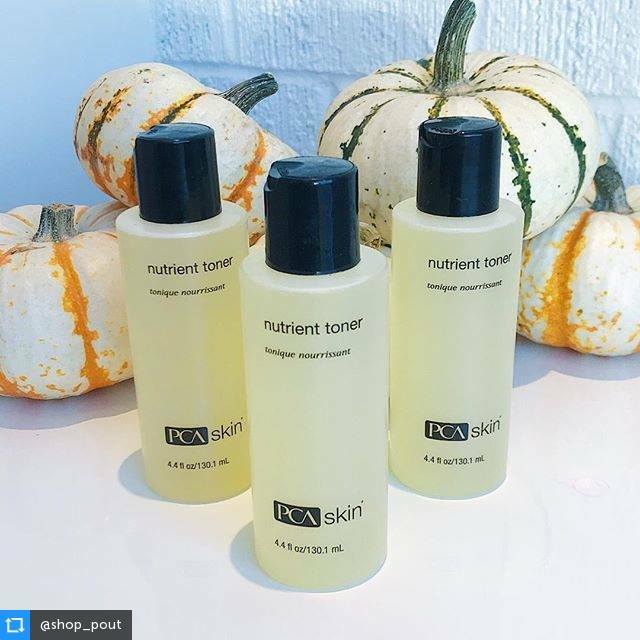 Put pumpkin in your skin care routine with PCASkin’s Nutrient Toner 20% off! One of PCASkin’s original products, Nutrient Toner contains the unique ingredient pumpkin wine which creates vitamins that our skin can actually absorb to keep it looking healthy. With the added benefits of citric and lactic acids (alpha hydroxy acids) for exfoliation, this toner is both treatment and nourishment. Apply once per day by wiping with cotton. May also be used once per week as your exfoliant instead of a scrub. This great product is on sale at bare for 20% off for the rest of October! Click here to tell us you need some. Don’t forget we ship for free!